A private hire driver has been successfully prosecuted after being caught illegally picking up passengers - plying for hire (known as ‘blagging’) - in Milton Keynes. MK Magistrates heard the case on Monday, 10 September 2018 which followed a joint enforcement operation carried out by Milton Keynes and South Northamptonshire Councils in December 2017. Irfan Hussain of Bristol Road, Luton attended court and pleaded guilty to plying for hire and driving without valid motor insurance in December 2017. He was fined £100 for plying for hire, £100 for invalid motor insurance, given 6 points on his DVLA licence, and also has to pay costs of £770 with a victim surcharge of £30. At the time of the offences his vehicle was operated by Speedline. Mr Hussain is currently licensed by Aylesbury Vale Council which will take appropriate action concerning his Private Hire/Hackney Carriage driver licence. 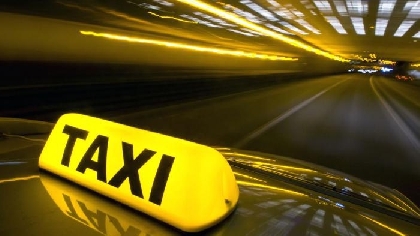 The court heard that on 3 December 2017 Taxi Licensing Officers from Milton Keynes and South Northants Councils, acting as members of the public, engaged Mr Hussain’s cab on a journey, which had not been pre-booked, from one location to another in Milton Keynes. Further investigation showed that Mr Hussain’s vehicle was not insured for this journey.